This Lithia Springs split-level offers hardwood flooring, a gas fireplace, stainless steel appliances, granite kitchen countertop, and a two-car garage. Upgraded features include a new water heater, new cooking range, a new deck, refinishing of hardwood flooring, fresh interior paint throughout, and new carpet in select rooms. Home is part of the Silver Creek Ranch HOA and offers a clubhouse, playground, pool, and tennis courts. Home comes with a 30-day satisfaction guarantee. Terms and conditions apply. 1625 Karsyn Lane, Lithia Springs, GA 30122 (MLS# 6507732) is a Single Family property with 4 bedrooms and 3 full bathrooms. 1625 Karsyn Lane is currently listed for $193,000 and was received on February 28, 2019. Want to learn more about 1625 Karsyn Lane? 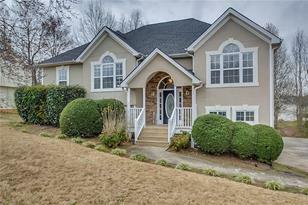 Do you have questions about finding other Single Family real estate for sale in Lithia Springs? You can browse all Lithia Springs real estate or contact a Coldwell Banker agent to request more information.